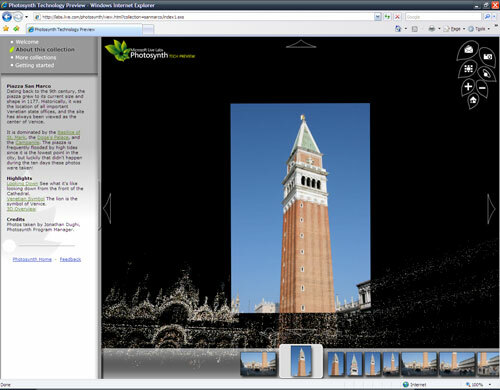 We all heard about Photosynth back in August, but now we can actually start using it. It is mesmerizing to play with and I can totally see this integrated into VE3D (I mean what is one more ActiveX control among friends). 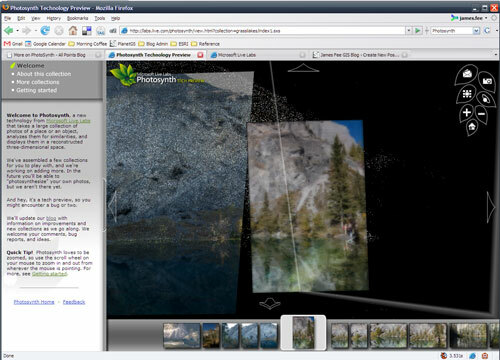 Being able to view not only your photographs, but millions of others puts a real spin on Flickr and Zooomr. 2D maps are nice, but this immersion type of experience is the next level. You can check out all the collections available here and the Photosynth blog.